Please contact me regarding the 2019 Isuzu NRR Diesel, Switch & Go - Stock# K7301342 for sale at TruckerToTrucker.com. Take a look at this 2019 Isuzu NRR Diesel, Switch & Go. It is Stock# K7301342 at TruckerToTrucker.com. 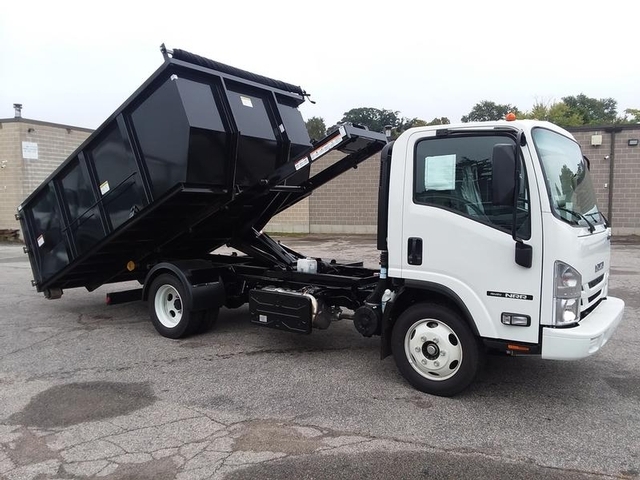 , 2019 Isuzu Trucks NRR DieselWheelbase ChoicesTrucks with wheelbases from 109 to 212 inches can accommodate bodies ranging from 10 to 24 feet in length.Clean, Powerful and Efficient Truck EnginesIsuzu diesel engines can run up to 10,000 miles between oil changes, minimizing downtime for maintenance.B-10 RatingBoth diesel engines that come standard in all Isuzu diesel trucks feature a B-10 life of 310,000 miles, meaning, 90% of our engines will still be operating normally at this high mileage.State-of-the-Art SCR TechnologyTogether with an enhanced exhaust gas recirculation (EGR) system and variable-geometry turbocharger, SCR technology allows all 2014 diesel Isuzu N-Series trucks to meet the demanding emissions standards.InteriorOnly Isuzu offers a custom cab design that maximizes interior space, optimizes comfort and incorporates ingenious productivity and maintenance features.